Are you parenting a child 0-5 years old? Come meet other parents and get some support! 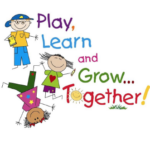 All classes are offered on Tuesday evenings from 5:30 to 7:30 p.m. at Killip Elementary School. 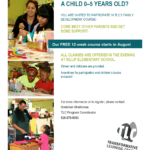 TLC is beginning to recruit parents and caregivers of children ages 0-5 for our next 12-week Family Development Course at Killip Elementary School. Classes will be held in the evenings from 5:30-7:30pm, with childcare provided and dinner served at 5pm for those interested. Come meet other parents and get some support at the TLC Support Group!